Financial Innovation, Did it really help! 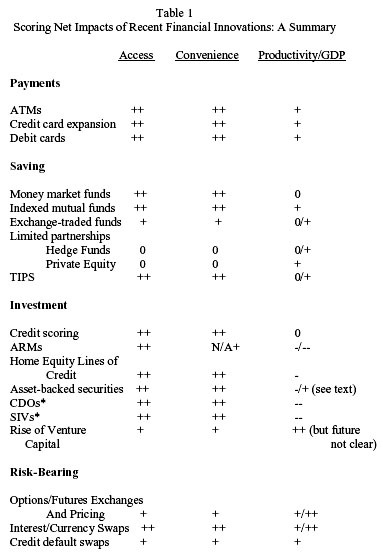 Bob Litan of Brookings Institution has come out with a very provocative paper “ In Defence of Much, But Not all Financial Innovation.” Therein he discusses “good vs bad” that has happened with financial innovations. Kevin Drum at Motherjones has summarized the paper beautifully for all of us who don’t want to give time to understand the details of paper, and intricacies of the argument. « Does Economics Violate the Laws of Physics?